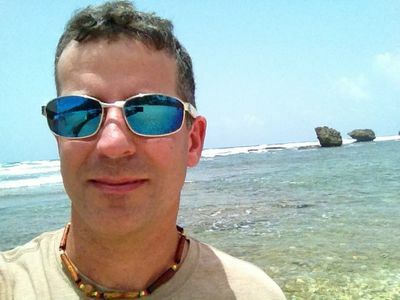 Robert Curley is a freelance writer focusing on travel in the Caribbean Islands. His work has appeared in publications such as Coastal Living and Business Traveller, and he is the author of the guidebook "Off the Beaten Path: Rhode Island." Robert Curley is a former writer for TripSavvy, contributing more than 400 travel articles about the Caribbean Islands in 11 years. Island living is in his blood—he was born on Long Island, moved to Rhode Island (his current home), and later gained an appreciation for tropical island life while visiting the Caribbean. A freelance travel writer and editor for more than 25 years, Curley is the author of the travel guidebook "Off the Beaten Path: Rhode Island" as well as hundreds of magazine articles for Coastal Living, Grace Ormonde Wedding Style, Meeting News, Business Traveller, Oxygen, and many others. Curley also is editor of Caribbean Bob and founder and publisher of Rhode Island Travel. Curley earned a Bachelor of Arts in English from Hofstra University. Curley wrote the travel guidebook "Off the Beaten Path: Rhode Island." He edits Caribbean Bob and founded and publishes ​Rhode Island Travel.